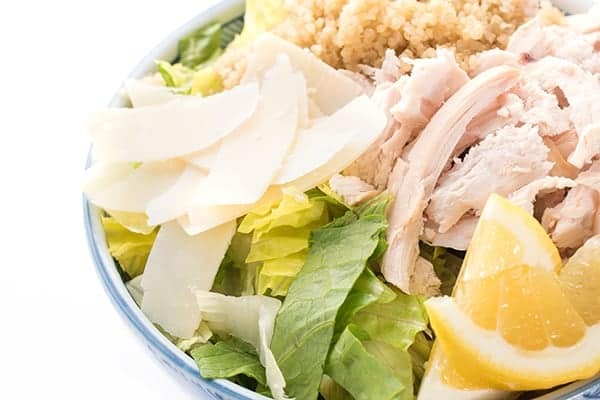 This hearty and satisfying salad bowl recipe is filled with leafy romaine, juicy chicken and protein-packed quinoa then drizzled with a lemony Caesar vinaigrette. 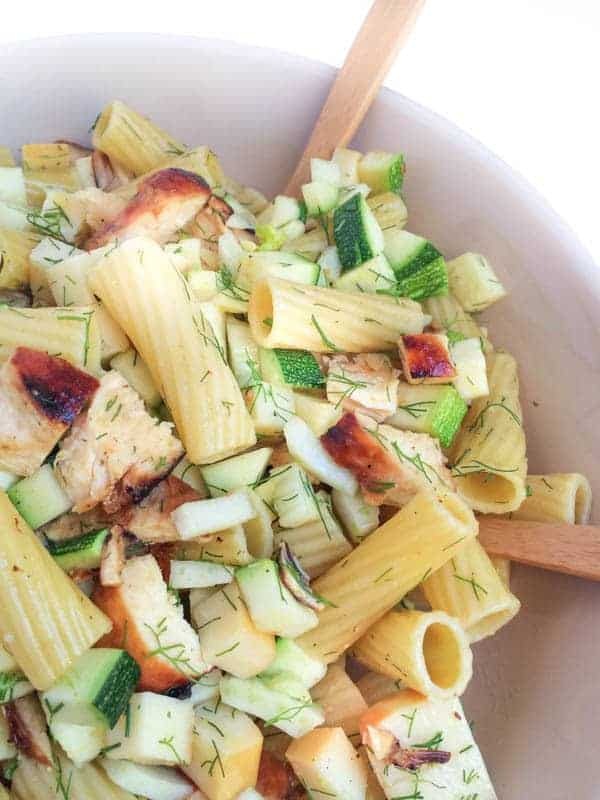 One of the great aspects of summer cooking is that salads can qualify as dinner with no complaints. With farmers market season in full force, there is no shortage of lettuce available which makes me oh-so-happy. 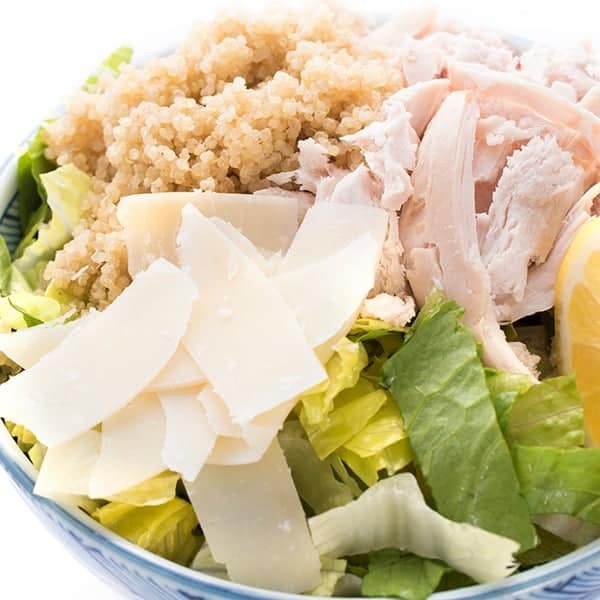 These chicken Caesar salad bowls are filled with hearty chicken breast, protein-rich quinoa and nutty parmesan cheese. To save time, feel free to use rotisserie chicken. I’m all about a good time saver. 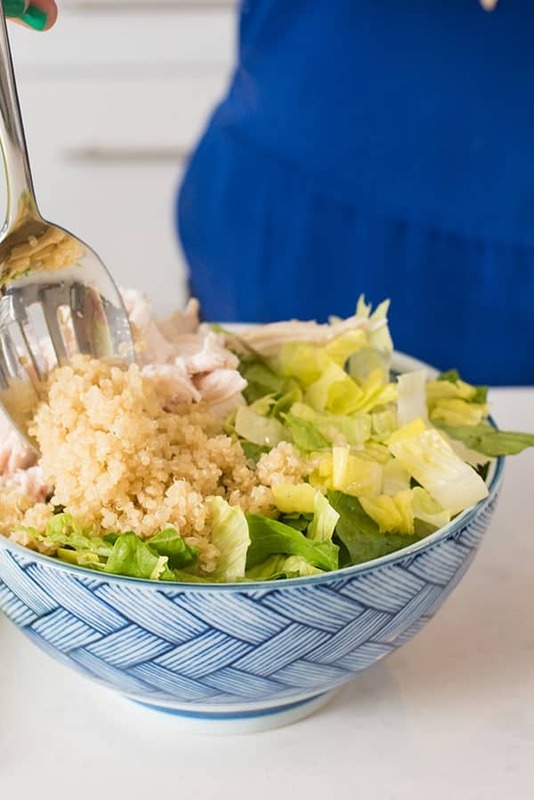 If you’re prepping these bowls for lunches throughout the week, be sure to keep the vinaigrette in a separate container to avoid wilted lettuce. 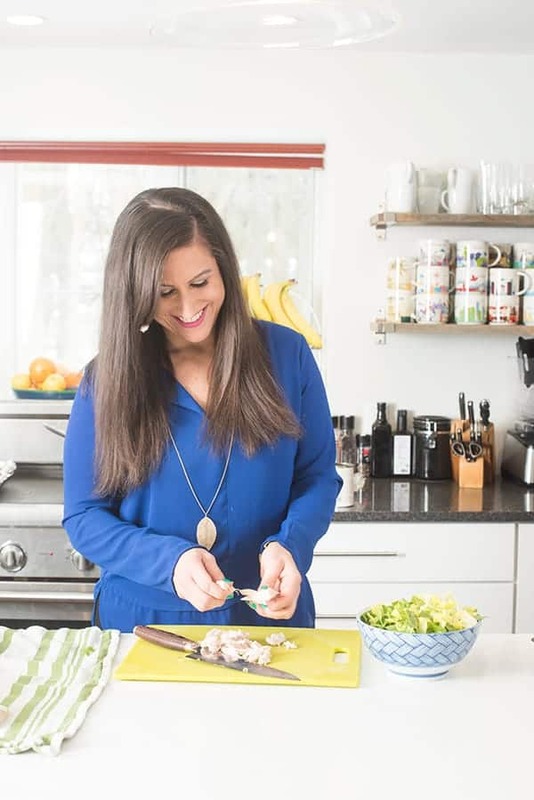 Quinoa is a great gluten-free option for bulking up the salad but I love using bulgur wheat, farro and freekeh as well. 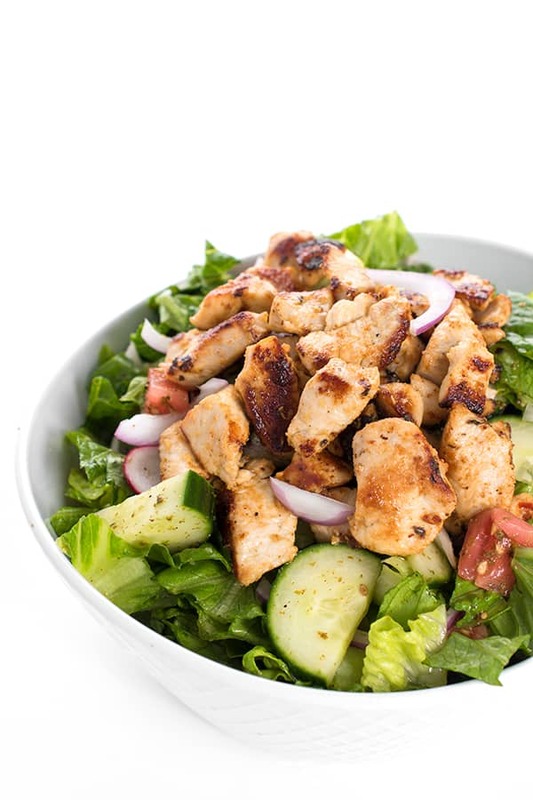 To serve, drizzle with my light and flavorful Caesar salad vinaigrette made with lemon juice, olive oil and dijon mustard. 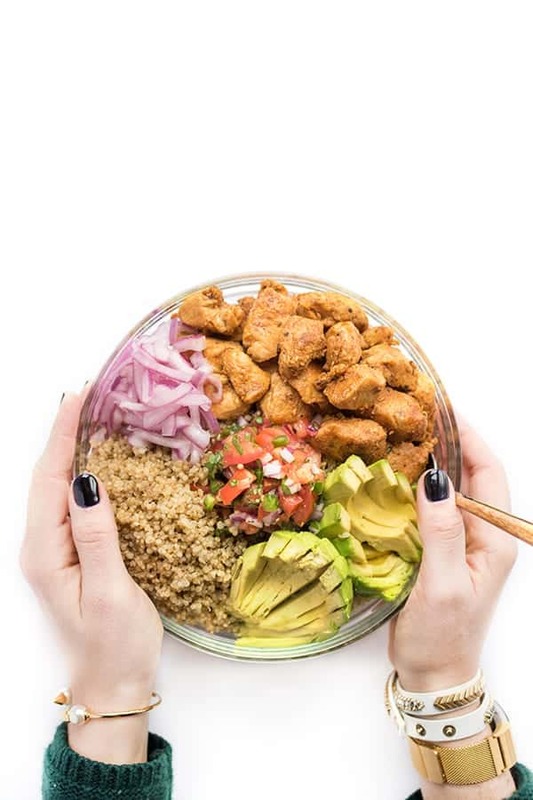 To assemble the bowls, fill each with two cups romaine, 3 ounces cooked chicken and 1/2 cup cooked quinoa. 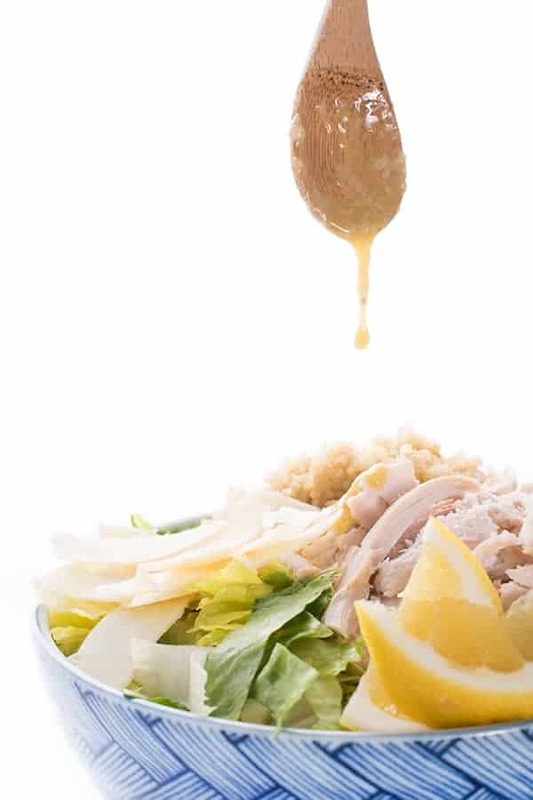 Prepare the vinaigrette by combining all ingredients in a small bowl and whisking until emulsified. Check for seasoning and add salt and pepper to taste. 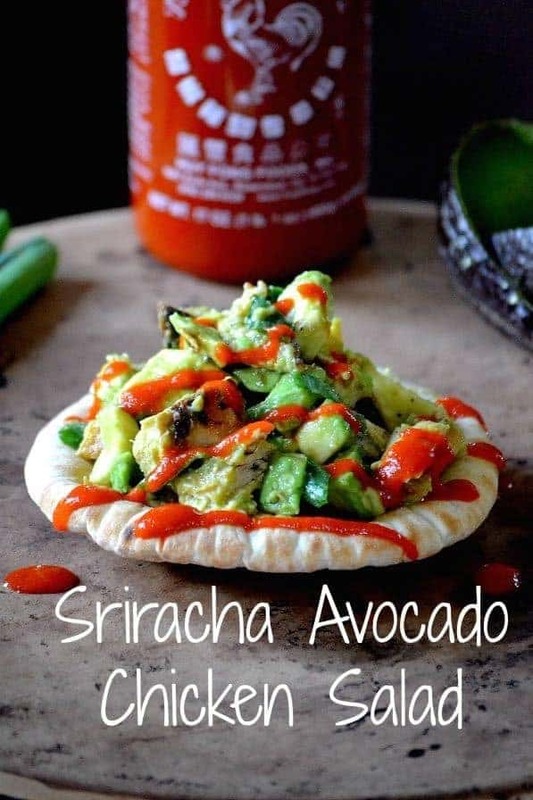 When you're ready to eat the salad, drizzle each with equal parts of the salad dressing. 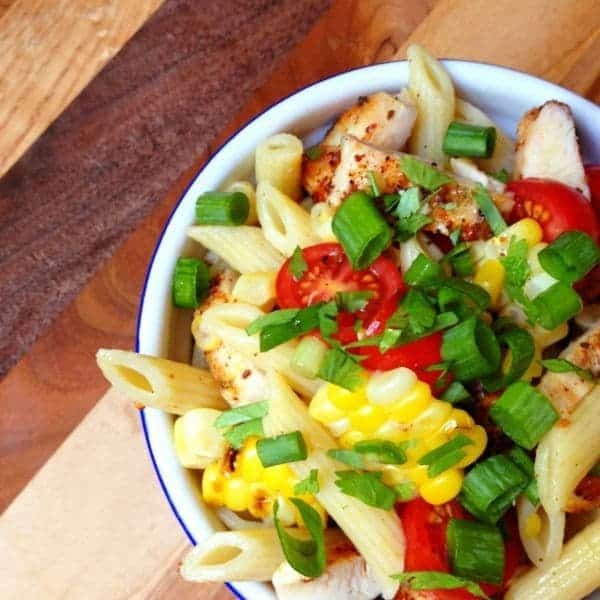 Top each bowl with parmesan cheese to serve.